How do we define Wilderness in an international context? Even though the US Wilderness Act was the beginning of a common Wilderness concept, since then many definitions for Wilderness globally have emerged, and this lack of consensus weakens the basis for protecting it. While the European Union defines Wilderness with a clear and concise set of principles and criteria from a European perspective, there are still several countries trying to create a country-specific definition. 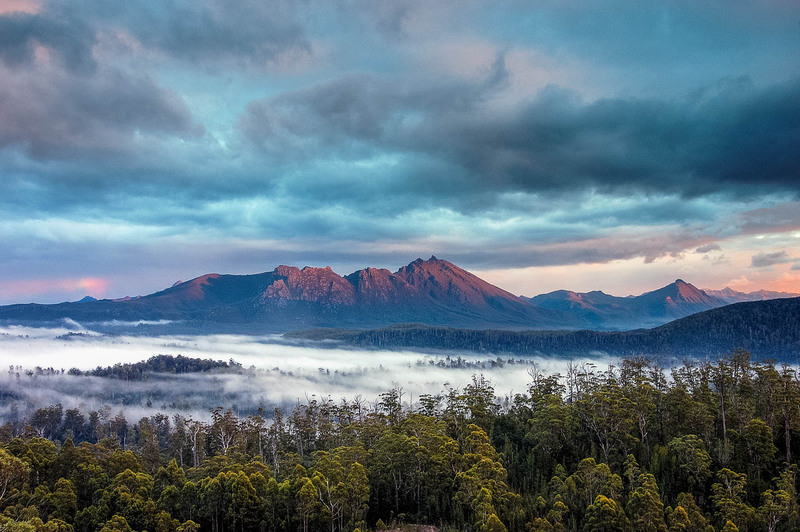 Wilderness is under threat all over the world, and especially in Tasmania. As a response to this a new publication called ‘Refining Wilderness’ has been released by Martin Hawes, Grant Dixon & Chris Bell. This new report summarises the value of Wilderness. It provides a definition for Wilderness, with a strong emphasis on remoteness and experiential values as defining characteristics. The authors argue that remoteness is necessary for ‘Wilderness experience’, as it enables the vastness of the natural world to confront the visitors. In short, their definition of Wilderness is ‘land which is natural, remote and primitive’. Additionally, the authors recommend that a remote buffer should surround the Wilderness. This buffer can protect the full range of Wilderness values. The report looks at the IUCN definitions, the US Wilderness Act, the European definition, the New Zealand Conservation Act, the New South Wales Conservation Act, Robertson et al, Kormos et al. 2017b and the UNESCO World Heritage Management Plan for Tasmania. Composed of native habitats and species, and large enough for the effective ecological functioning of natural processes. They are unmodified or only slightly modified and without intrusive or extractive human activity, settlements, infrastructure or visual disturbance. Furthermore, the Refining Wilderness Report advises the use of a ‘remote buffer’, which can be synonymous with our transition and buffer zones that surround and protect the Wilderness zone. The experiential value of Wilderness is specific to every individual. More than 20 years of EWS experience has confirmed that Wilderness has a specific power on the human mind. This growing interest in refining the Wilderness Standard is good for Wilderness stewardship. Focusing on the experiential values as well as the ecological values of Wilderness can help to convey the importance and complexity of Wilderness in Europe. Both this publication and the work of the European Wilderness Society, are helping to promote Wilderness. One of the main differences between the numerous definitions is the role that size and remoteness play in defining Wilderness. All definitions include the absence of human interference and extraction as a common denominator. This new Australian definition therefore strengthens the basis of Wilderness protection, and fosters the recognition of Wilderness values globally, with a special focus on Tasmania. Hi Martin, thank you for your clarification. Actually we in Europe define Wilderness as the absence of human intervention and extraction. Humans presence if only thru the Romans is everywhere. Königsbrücker Heide is a great example how fast Nature turns wild if we humans step back. Two points deserve clarification. Firstly, the definition that my colleagues and I have proposed is de facto rather than de jure; that is, we define wilderness based on its inherent characteristics and conditions (e.g. proximity to roads), not as a management designation. In this respect our definition is similar to that of the European Commission, whereas the IUCN and US Wilderness Act definitions use the term ‘wilderness area’ as a management designation. Secondly, if one defines wilderness to be remote, as we do, the existence of a remoting buffer is not merely desirable, it is a logical necessity. For example, if one insists that to qualify as wilderness an area must be at least 5 km remote from the nearest roads, buildings and the like, then a wilderness area must (logically) be surrounded by a tract of roadless land (or sea) that’s at least 5 km wide. This surrounding tract is the remoting buffer. The remoting buffer must be kept free of roads, buildings etc if the wilderness area is to remain wilderness as we have defined it. This is part of why Wilderness is difficult to define, and has many different aspects that contribute towards its definition. Wilderness has both the concrete terms described in this post, which can be quantified and measured, and the abstract concepts, such as ‘Wilderness experience’. Because of this, the Wilderness will mean something different to every individual, and is presented differently in different cultures. However Wilderness needs our protection. Therefore whilst it does also consist of abstract concepts, it is by including the concrete terms that Wilderness-advocates are able to promote Wilderness and it’s preservation to society as a whole. A city brownfield would better fit the definition ‘Wild land or area’, and like all nature, is still worth our protection, stewardship and advocacy. From my point of view, the described approach considers the term “Wilderness” a concrete subject. In this way “Wilderness” equals to “Wilderness Area”, which is used in some countries. Refining “Wilderness” this way will make the currently used term “Wilderness Area” a nonsense. I feel “Wilderness” more abstract term, containing not only area, but organisms and other features as well. When a wolf comes from a deep forest to the surroundings of a village (which is not a remote area), is he still part of Wilderness, or is he only Wildlife out of Wilderness? And do we really want to exclude city brownfields, that are left for natural development for several decades from “Wilderness”?